This badge was issued to Jason Cardinal on 16 Mar 2018. 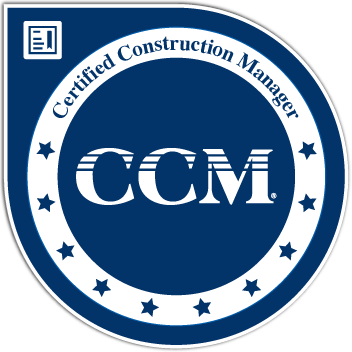 The Construction Manager Certification has been accredited by the American National Standards Institute (ANSI) under the ANSI/ISO/IEC 17024 standard since 2006. In 2013, the Construction Industry Institute (CII) endorse the credential. In 2016, the Society of American Military Engineers (SAME) endorsed the credential.